Contestants must be 10th, 11th or 12th grade high school students in a Public, Private or Credited Home School. 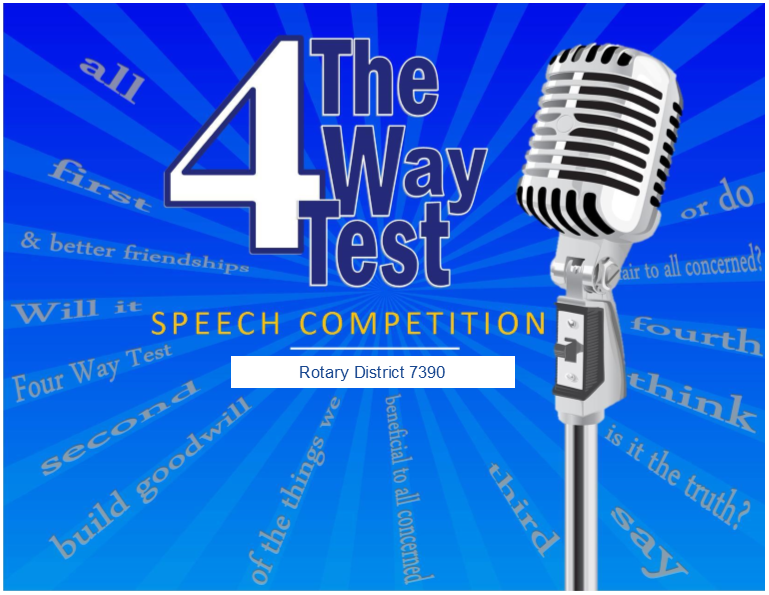 During the months of September and October, a local contest will be held by a school/Rotary Club or both, to determine who advances to the next level. Three students can move up to the mid-level from any Club or school Contest. 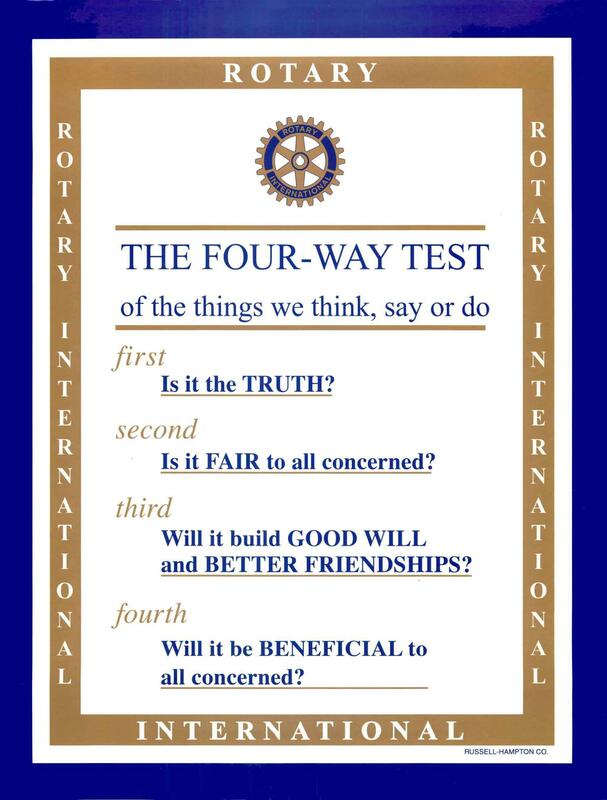 A Rotary Club is encouraged to join with these groups to provide guidance and understanding of the Four Way Test. The idea is to pair up a Rotary Club with a school or class. This way the schools and Clubs are drawn together. The Mid-level Contest is assigned to the participant. A participant can request a change of mid-level venue to avoid certain conflicts such as SAT testing, a championship game or illness. The decision of the chairperson of the 4WTSC is final unless the District Governor decides otherwise. During the months of November & December mid-level contests will be held in each of five mid-level areas. The winner of each of the five mid-levels will compete in the finals at the Rotary District Conference. In order to received a prize, the contestant must speak at the finals. The finals will be held at the Hershey Hotel on Saturday, April 13, 2019. Mid-level Coordinators are responsible to locate schools and administer that part of the program. This includes locating and training the judges. Any topic which a contestants feels is timely, interesting, and important may be used for the contest speech as long as it is not profane, obscene unpatriotic or racist. If a contestant or coach has any doubts at all, he/she should clear his/her topic with the Contest Chairperson for the next level where he/she will speak. The decision of the Chairperson is final. The topic must be specifically subjected to The Rotary Four Way Test. It must be used throughout the body of the speech and is not to be reserved for the beginning or concluding statements only.